In what meteorologists are calling an incredibly rare event, an iceberg twice the size of the island of Manhattan is drifting north toward Australia and New Zealand. A massive iceberg drifts off the southern coast of Australia, promising tourists and beach-goers an amazing sight should it drift closer. 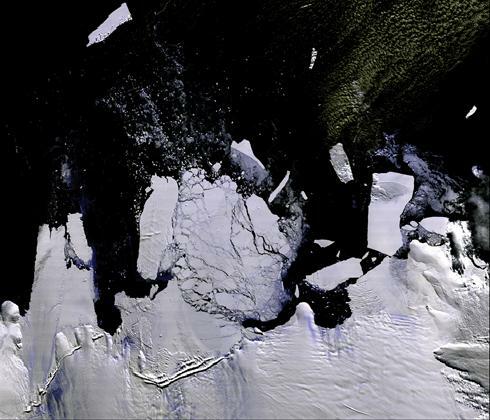 Scientists expect the iceberg to slowly shrink and break apart in warmer ocean waters. Large ice caps at the poles often shed large iceburgs every year, but rarely does such a large iceburg drift so near land, according to Australia’s Bureau of Meteorology.Â This particular iceberg is believed to be a remnant of a larger sheet that was shed by the Ross Sea Ice shelf nearly 10 years ago. This satellite photograph shows large icebergs calving from the larger antarctic ice sheet at the edge of the south pole. The group of icebergs were thought to be heading to New Zealand but have now been blown off course.Â That has not stopped a group of Australians who are determined to cash-in by trying to set up a floating bar on one of the icebergs. The iceberg that has drifted toward Macquarie Island has taken a long path to get there. While it is proving quite a sight for islanders, scientists expect it to slowly shrink and break up in warmer ocean waters as the southern hemisphere summer looms. 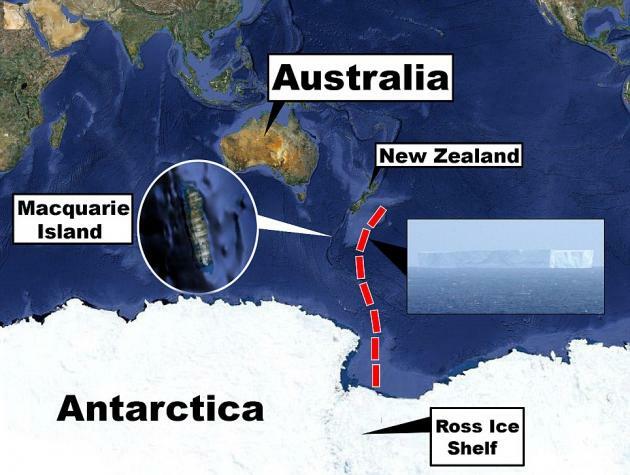 The Australian Meteorology Bureau went as far as issuing a shipping alert late last week as a massive iceberg was drifting within 1000 miles of the southwestern coast of the country. This followed New Zealand’s similar alerts late last month when a slew of icebergs headed toward South Island, New Zealand.Â Those have since drifted away from land. This massive iceberg drifts off the coast of Macquarie Island south of Australia, promising tourists and beach-goers an amazing sight should it drift closer. 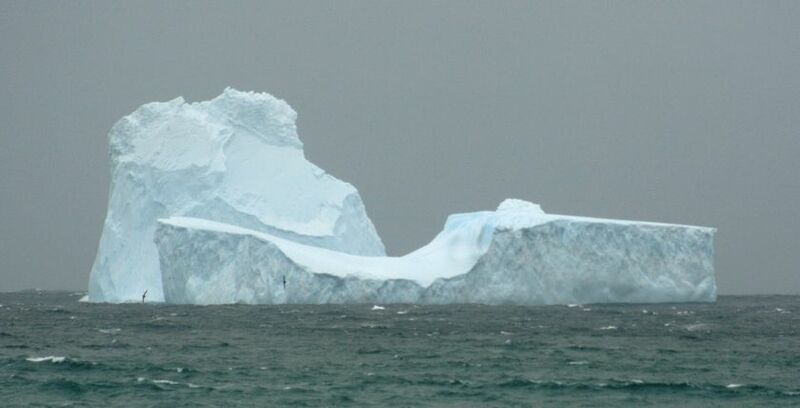 Scientists expect the iceberg to slowly shrink and break apart in warmer ocean waters. 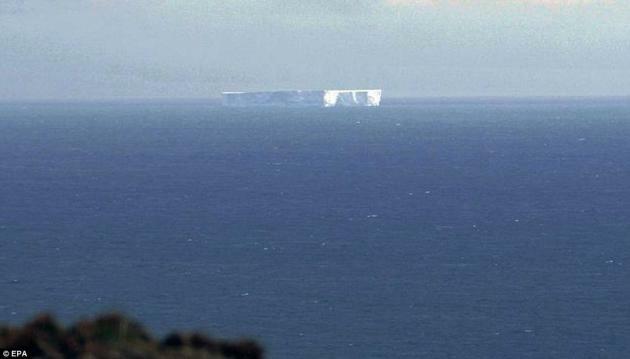 The largest iceberg is 12 miles long and 5 miles wide.Â It is slowly drifting northeast toward Western Australia state. 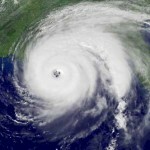 Like others that have come before it, it is expected that this iceberg will break up as it enters warmer ocean waters.Â Such events are not entirely uncommon and scientists state that such a singular event cannot be definitively tied to climate change.